According to Forbes Magazine, less than one third of family businesses survive the transition from first to second generation ownership. Another 50% do not survive the transition from second to third generation. That means only 12% of family owned businesses make it to the third generation. There are many reasons for this. Of the 70% of businesses that fail to transition, 60% of those fail due to problems with communications and trust. Another 25% fail due to incompetent leadership skills − they are not properly coached. It is extremely crucial for a family business to engage in succession planning and ensure the next generation is properly prepared to take over. 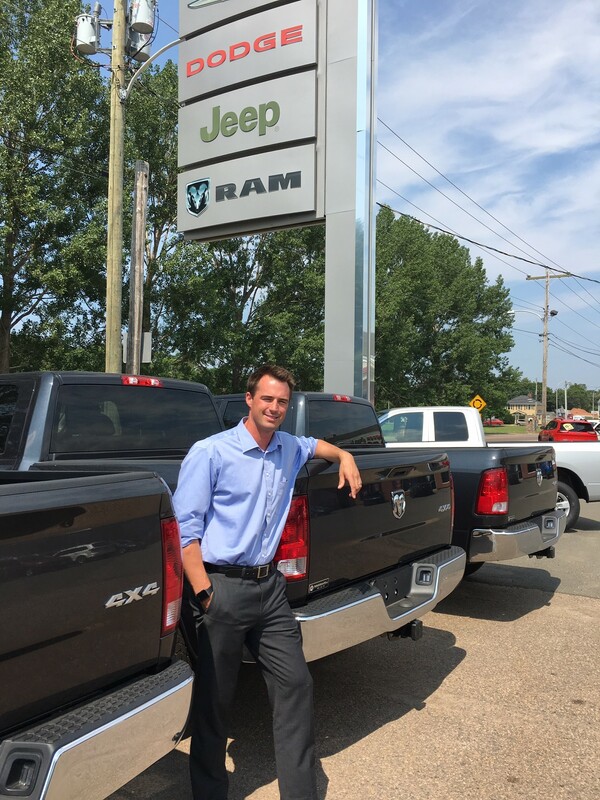 Brad MacLennan of Reliable Motors in Charlottetown is adamant about defying those odds: he is the third generation in the automotive business. His grandfather, Arnold, purchased a Pontiac dealership in Summerside in 1954, then opened MacLennan Motors in Charlottetown in 1973. Arnold sold it to Brad’s uncle, Charley. Charley’s son Kurt now owns the Toyota Dealership in Charlottetown. Brad’s father, Brent, started Reliable Motors 1980, where Brad is the General Manager. So, it seems the automotive business runs deep in the MacLennan blood. Initially, Brad was not interested in the family business. He tried working in other industries, traveling extensively and became a licensed carpenter. He then attended Georgian College in Ontario, where he enrolled in automotive marketing and went to work with MacIver Dodge in Newmarket, ON. During this time, Brent was patient and understood that it was important for Brad to find his passion. Eventually, Brad succumbed to the calling of the family business and came back to work with his father. He took over as General Manager, initially learning about leadership from the school of hard knocks. Remain humble, listen to your people, and follow your intuition. Brad also engaged a business coach to get an outside perspective, to supplement his learning about leadership, and to understand his own strengths and development needs. It’s not about knowing what you want in life, it’s about getting a diversity of experience to know what you don’t want. Brent will remain as principal for a few years, so Brad will have more opportunity to learn from his wisdom and get a few years more experience before taking over. He’s on a mission to defy the odds and continue the family business. The family is more committed to long-term personal development, training, and retention of their staff and management team. Family members who collaborate can react more quickly than large impersonal bureaucracies when the business environment changes or crises happen. Family companies often achieve stronger employee loyalty which will reduce turnover and increase productivity. They reinvest a higher percentage of profits in the company to ensure long-term success. The family has an emotional, as well as financial, stake in seeing the business succeed. Do you have a succession plan in place that will ensure the next generation will succeed?